The “Série R” is the result of a deep reflection upon one year’s harvest. R.013 in BRUT comes from a majority of the 2013 vintage. 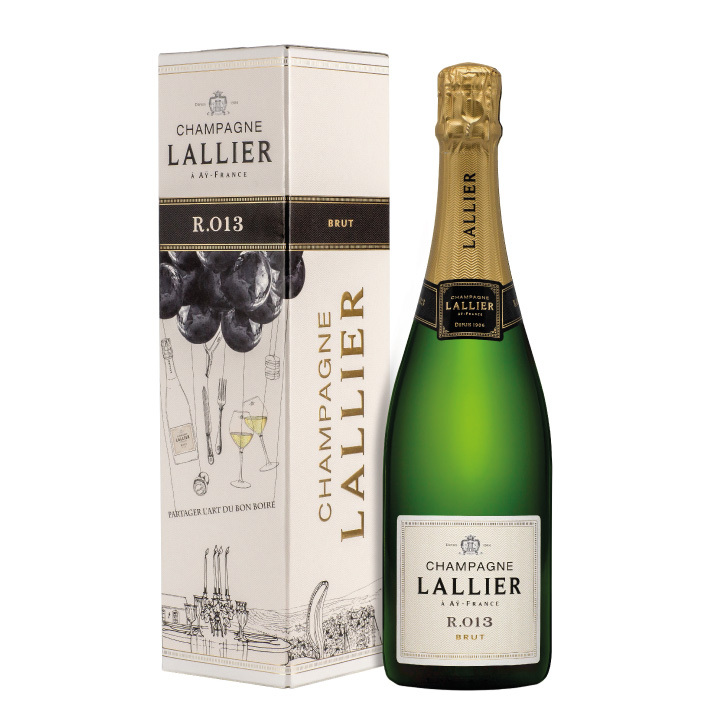 Since 1906, LALLIER is a craft manufacture of prestigious crus de Champagne. The “Série R” is the result of a deep reflection upon one year’s harvest. 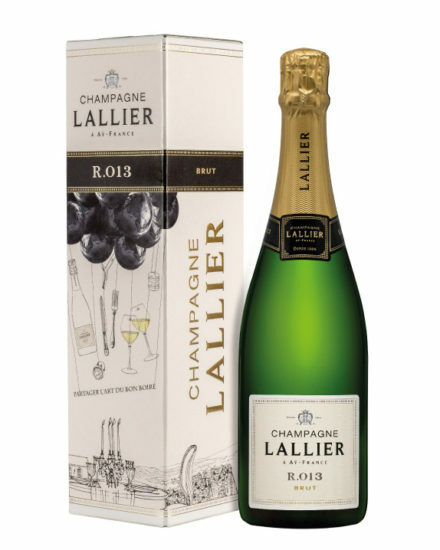 A large majority of the cuvee R.013 comes from the 2013 vintage, offering a large range of appealing aromas thanks to its character and generosity. The 2013 harvest Was 2013 affected by the climate change, with an unusual late vegetative cycle and a harvest in October? Indeed, there were two very different periods in the vineyard. At first a very cold winter (but no freeze) and a very cold and cloudy spring, with heavy rains and flood. Then, everything changed starting from July. Radiant sun all summer long with record breaking exposure to sunlight despite frequent hailstorm with harmful consequences: 5 times less harmful than in 2000, but still 538 ha destroyed in the Champagne region (including July 26th for us in the Côte des Blancs area). Starting in September, the end of the cycle is typical for autumn with returning important rainfall. Very few physiological issues in 2013 except for some millerandage on chardonnays sometimes paired with coulure. Regarding diseases and parasites, the vines were not affected despite the climatic hazards, very few downy mildew threats, a little bit of powdery mildew but without too many damages, with limited grey rot since it happened at the end of the process. Eventually, 2013 is characterised by the cold temperature and a late flowering early July (like in 1991), that leads to a 2 to 3 weeks phenological delay (harvest early October), even if the summer heat accelerated the cycle with only 91 days between the flower and the harvest. The grapes are very qualitative, healthy with great maturity, comforting us and presaging a beautiful vintage. ￼With its golden and shiny robe, R.013 delights our eyes while its soft effervescence is mesmerizing. Subtle notes of fresh fruits, citrus fruit and honey making a large range of appealing aromas thanks to its character and generosity. They are a pleasure for the nose. The mouth is tasty with a good structure and a nice freshness in order to be balanced and appealing. As a starter, R.013 will match perfectly with salty amuse-bouches. While dining, it will match perfectly with most of the salty dishes, with a turbot fish with a creamy sauce made with sea food, poultry with morel mushrooms, or a tasty goat cheese. In order to enhance the end of the meal, it can be offered in association with fine desserts made of white and yellow fruits.